VBS3 provides a comprehensive virtual training environment for tactical training, experimentation and mission rehearsal for land, sea and air. Military simulation. Multiplayer, virtual training environment. Development platform for modeling and simulation uses. Based on commercial game technologies, VBS3 has evolved over more than 15 years into a comprehensive desktop trainer and mission rehearsal platform, adapted for hundreds of discrete training uses by militaries in over 50 countries. Watch this intro video to learn about VBS3. 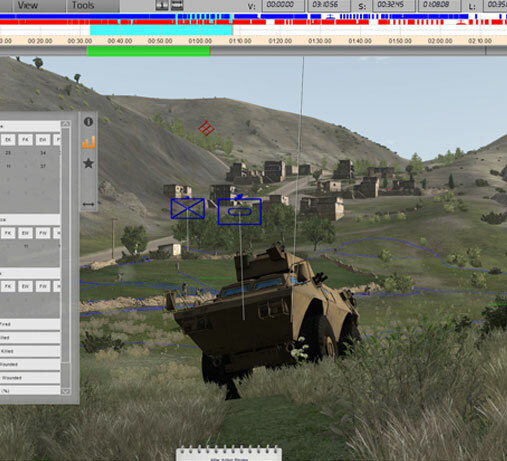 With over 14,000 detailed models of military and civilian vehicles, weapons, and characters, VBS3 is a virtual sandbox, which reduces development costs associated with deploying a desktop training solution. 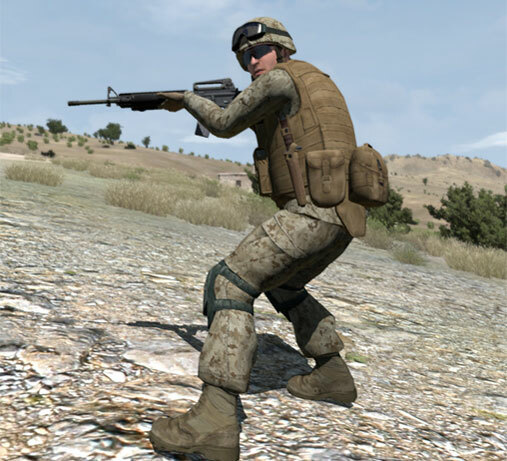 VBS3 combines a massive content library, scenario development tools, and after action review capability that immerses trainees in a high-fidelity, multiplayer virtual environment. It includes a user-friendly application that allows for interoperability with external HLA/DIS networks and host computers that use the CIGI protocol, a robust DIS-enabled voice communications system, and a mission planning tool for adding military markings to scenarios. Simply load VBS3 onto a PC and use the supplied tools and models to set up a scenario and start training. VBS3 also features built-in development tools to customize models and import your own models and terrains. 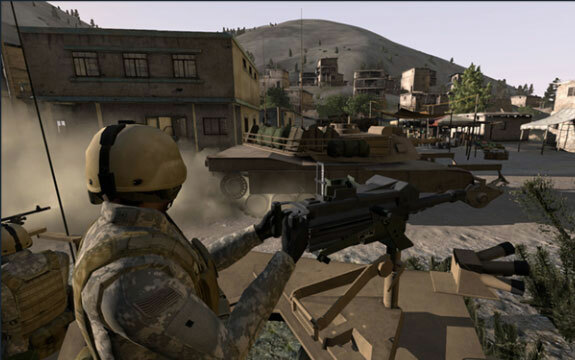 The U.S. Army’s “Games for Training” program of record needed a first-person desktop training solution that is flexible and versatile. 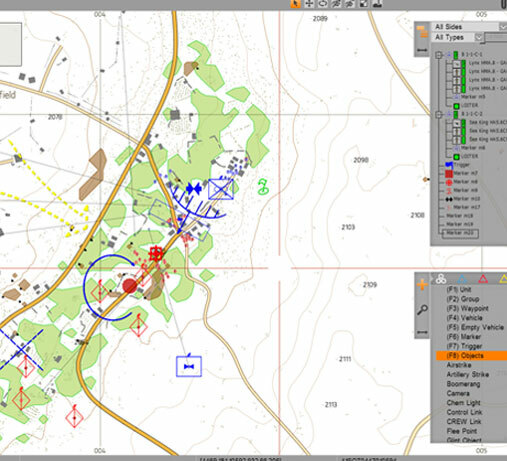 The Army awarded BISim and partners a contract to deliver VBS3 as the training solution. 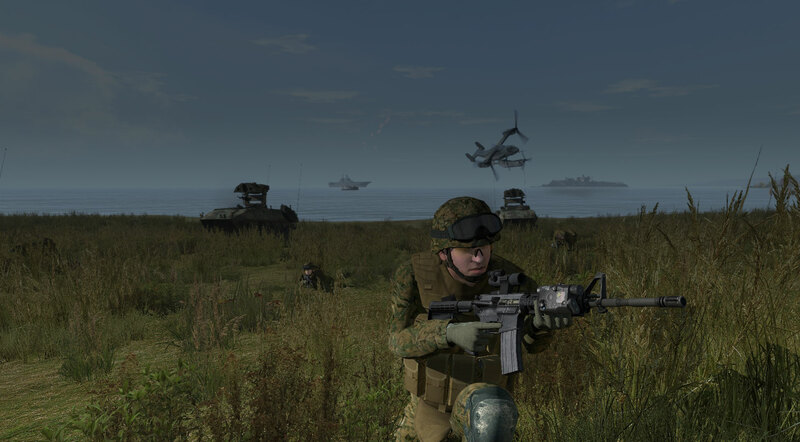 Shaped and refined by over 15 years of customer feedback, VBS3 is the de facto standard in game-based military simulation and meets hundreds of training use cases. The training uses below are just a snapshot of what you can use VBS3 for.